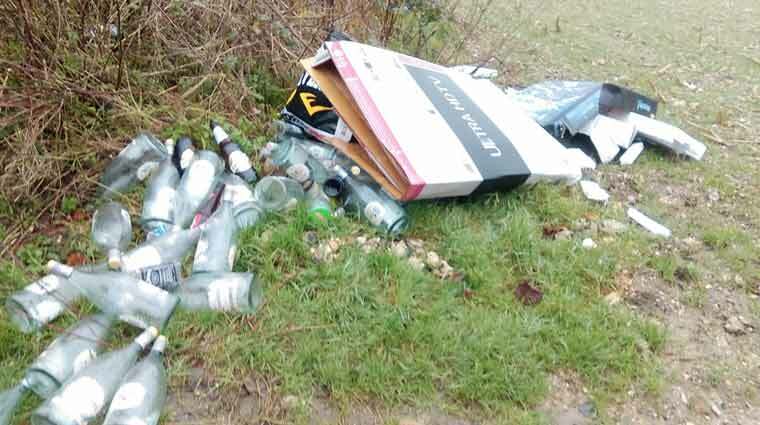 A Dorset resident was recently issued a fixed penalty notice after their waste was fly-tipped, despite the fact that they didn’t dump the rubbish themselves. The rubbish was discovered by a member of public and reported to enforcement officers at the Dorset Waste Partnership (DWP) on 10 January, who went to the area to investigate. Upon arrival, the officers found evidence that traced the waste back to a property. Although it wasn’t the address of either the original waste holder or the fly-tipper, it began a chain of investigation that led the DWP to the source of the rubbish. While the resident admitted the waste had previously belonged to them, they said they gave the items to another person to be disposed of at a household recycling centre. However, this third party chose to illegally fly-tip the waste in the Beaminster area and the resident declined to provide a statement implicating the third-party who dumped the rubbish. Subsequently, the DWP issued a fixed penalty notice (FPN) of £300 to the resident instead of taking them to court. Gemma Clinton, Head of Service (Strategy) at the Dorset Waste Partnership, said: “The DWP has a duty to use our powers to investigate these incidents and take action when necessary. We hope this sends a clear message to all residents that you must make sure any waste collector is fully licenced to carry your rubbish. “You should also obtain a waste transfer note, which is your proof you have carried out the necessary checks to use a reputable company or individual. Fly-tipping is a criminal offence, punishable of fines of up to £50,000 or 12 months imprisonment if convicted in a Magistrate’s Court. The offence can attract an unlimited fine and up to five years imprisonment if convicted in a Crown Court.